Houzz is a great website for high quality images for inspiration, to explore materials, or just window shop at some beautiful landscapes and homes. 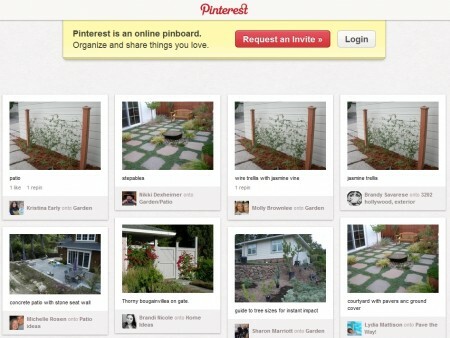 Pinterest is an online bulletin board site that allows users to pin and share examples of images and other content. We were surprised to see how many pins we had from our blog and portfolios. 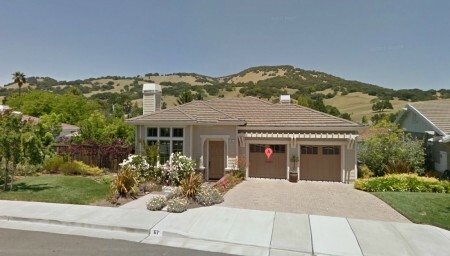 Hopefully people can get useful design and installation ideas from our site, even if they are far outside the Bay Area. Google Maps is the process of updating it’s Street View service with even higher resolution images, making a neat tool even more useful. 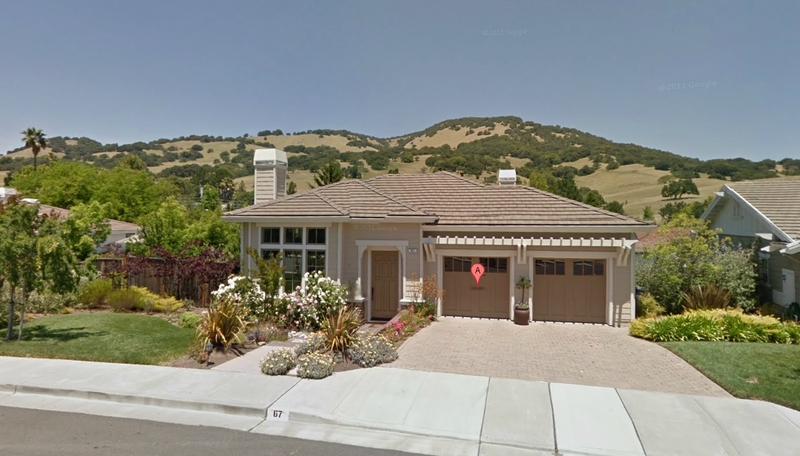 Google also recently added a birds eye aerial view allowing a 45 degree angle when viewing properties from above. Both of the tools make it easier to view streetscapes, and to find good local examples of plantings, fences, gates and entryways for landscape projects. Geographic information systems, GIS, are a really valuable tool for planning projects. Most GIS applications available from local counties and cities are web-based interactive mapping applications that allow you to search for a property parcel and view key information like property boundaries, topo contour lines, utilities, and aerial photos. All the information is scaled and most aerial photos available are orthogonally corrected (corrected to display to scale and not be distorted by the earth’s curvature). So what’s the utility of GIS in landscape projects? The information can help with laying out site plans, confirming information on existing plans, siting trees, buildings and other key features. Most of the applications available online are intuitive and easy to use. The Chronicle and City Voter have announced their Bay List best of 2008 list of Bay Area companies in a variety of categories. These “Best Of” are a bit arbitrary and were create based on nomination, but this is an interesting list to browse though to find different local service companies. We have just updated from our old Blackberry phones to new Palm Treo phones in our office. Of course there is always the hours spent figuring out and troubleshooting new technology equipment, but the Treo has proven to be much more powerful than our old Blackberries. An especially cool tool for the Treo, that is really handy for project management when we are out at the job site is Treo Alarm. It updates weather information from the National Weather Service and displays the information right through the program on the phone without having to go to another website within the Treo. The alarm can be set to update the weather so that the information is ready when starting the work day. This is a nice feature, especially this time of year, when weather and rain drive what can be accomplished on a landscape project for any given day. This application underscores a key advantage to the Palm, a wealth of available software and accessories. Doing some browsing recently through some of our links, I found some additional interesting resources of prefabricated water features. Pre-manifactured water features come in all shapes, sizes, design types and materials. Trevi, a manufacturer based in Las Vegas, has some interesting designs that depart from your classic Italian fare that you see at most garden centers. A. Silvestri & Co., out of San Francisco, has a wide array of classical Italian and Spanish inspired designs. Stone Forest, out of Santa Fe, has unique Granite and Stone Custom Fountains. I have touched on some of these resources previously, but wanted to list some of the best garden and home improvement forums I have encountered to ask questions or find information. This morning on KQED radio, Michael Krasney had on guests talking about citizen journalism/media and how the internet has changed the way information is disseminated. The same is true of citizen landscape architects, contractors, gardeners that populate online discussion forums. There are often answers in these forum to items so obscure or specific as to be found nowhere else. The mark of a good forum is that the commentators are knowledgeable and that there are lots of postings and ideas being shared. In some of the forums below many of the commentators are contractors or other experts in their field. Always amazing how people are willing to share the expertise and just another example of the power of the internet. Who better to get some good sound gardening tips than from the UK’s Royal Horticulture Society (most famous for the Chelsea Flower Show). The RHS has a great website that gives tips on common gardening activities from lawn mowing to pruning. While these can be specific to Britain, there is a good store of general information as well. There are times on large projects where a subcontractor, owner, or other interested party needs to view a Microsoft Project generated schedule, but with no viewer available from Microsoft this can be a problem. While there are 3rd party software applications available, these still cost money after a fixed demo period. Fortunately, Project Viewer Central, has a free online viewer, that can allow people to view Project files anywhere (as long as they are smaller than 400kb). This is a good tool to view Project files on computers where project is not installed, or for owners or clients who need to view the information. 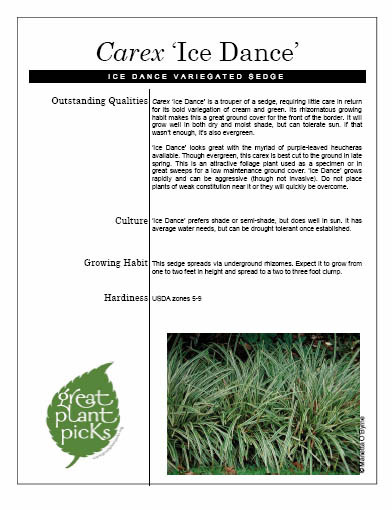 Greatplantpicks.org is an excellent resource for some plants that are good performers for residential landscapes. Based in Washington, their recommendations are geared for the Pacific Northwest, but most of the plants would do well in California too. The website’s mission is: “Designed to help home gardeners identify unbeatable plants for their Pacific Northwest gardens, you will find well over 300 Great Plant Picks with helpful information and pictures. The .pdf sheets offer a great and easy rundown of their selections. Before there was HGTV, there was Bob Villa, the one man home improvement brand. The Bob Villa Website has good general information on a variety of subjects including garden care and do-it-yourself (DIY) projects. DIY sites abound and that is one of the great aspects of the internet- abundant, accessible, and increasingly reliable information. Another good DIY site to try is the DIYnetwork and of course HGTV. Browsing around various garden and design related sites, Gardenvisit.com put together by garden scholar Tom Turner has excellent information relevant for gardeners and landscape architects alike. The site map gives a good overview of the breadth of information available, from bios on famous garden designers, essays on gardens and parks, to a section on garden history, among may sections. The site is a good resource for those looking for photographs, travel information on gardens, design principles, and garden history. In my wanderings online I stumbled across a very interesting tool for viewing older versions of websites. Internet Archive, a non-profit internet indexing and library site, has a “Wayback Machine,” that allows you to view old versions of websites in its database. It was interesting to follow the progression of both the design and content of our website from its start in 1997-8 to today and see the evolution of its content. This could also be a good tool to find articles or information that has been reorganized or has disappeared from a site, or that would be stuck in an archive or Lexus-nexus that would require payment to view. The original Google page is particularly amusing. In my surfing looking for details on maintenance of a particular plant, I came across an excellent general garden care website from ehow.com. On the site they have good overviews and step by step instuctions for fertilizing, lawn and shrub care, pest problems, pruning, and other common garden questions. The rest of the site has good information for do-it-yourself instructions for a number of other topics. It is amazing how much time and dedication people put into blogs, they really can serve as an excellent information resource. When planting outside “the garden walls,” it is a good idea to consult a listing of deer resistant plants (see our past post about the difference between deer resistant and deer proof). 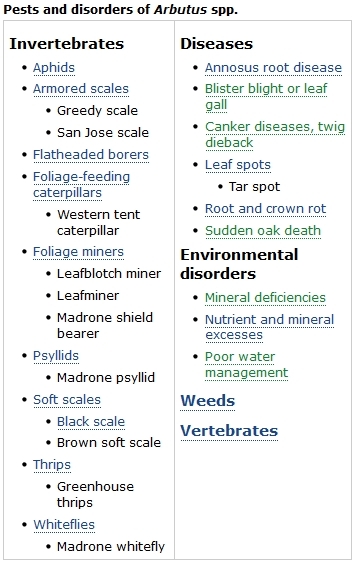 With this in mind, here are some good online resources of plants used in California landscapes that fare better against deer. 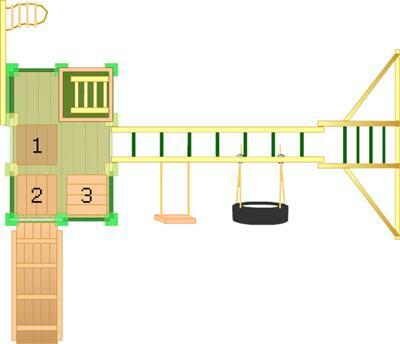 I have had the fun task on a recent project to design a play structure for a client’s young daughter. They selected a Cedarworks play structure, and as we design and outfit the set I am very impressed with the options and design tools the manufacturer provides. 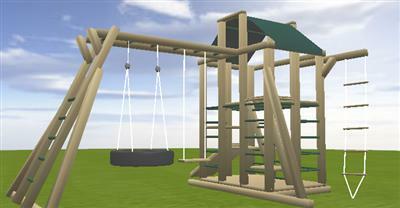 There are several modules to choose from, ranging from basic swings and climbing rigs to the “Cedarsaurus,” mega playcenter. From a design perspective one very helpful tool was the 3-D set designer. There was limited space available for the set and I was able to custom design the elements to fit the space available. Below is a list of websites for Reference and for local suppliers in the Marin and Sonoma County, California area (and beyond) for garden related products and services. (Check our newest updates, we update this list frequently!) We make no endorsement or recommendation of the products and services below, these links are informational purposes only. Let us know if you can’t find what you are looking for in this list, or if you have a suggestion for an addition.